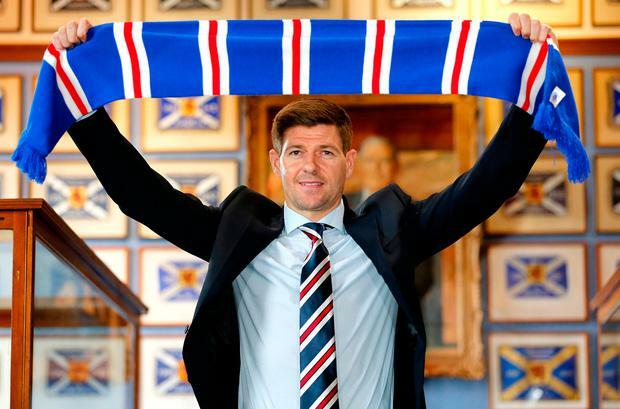 Jurgen Klopp believes Rangers could be a "very good fit" for Steven Gerrard, whom he said departed Anfield with the club's best wishes. Liverpool's manager also said he believed Celtic supporters may be wary that their rivals had secured such a big name to challenge their dominance of Scottish football. "If Stevie thinks it's the right moment, then I'm sure it is the right moment. If he thinks he's ready, then he's ready," Klopp said. "How I know it, Rangers are a big club in a little bit of a difficult moment still but a much better moment than a few years ago. It could be a really good fit, it could be nice, coming closer to Celtic. Klopp said that Gerrard, who became the Liverpool U-18s coach at the beginning of the season after rejoining the club in February 2017, would have to learn about senior management on the job. "Stevie is one of the best midfielders ever. Now he wants to be a manager. He has the passion for football and the knowledge about football. All the rest is to learn; I'm sure he learned a lot in the last year. I'm really happy for him to have the opportunity." Pep Guardiola said he believed Gerrard faced a huge challenge in his first managerial role. "I think the challenge is a lot," said the Manchester City manager. "It is not about being in the past. Good football players can be good managers, exceptional managers are sometimes not good players.